Kosuke Fukudome (福留 孝介, Fukudome Kōsuke, born April 26, 1977) (pronounced KOH-skay Foo-koo-DOUGH-may) is a Japanese professional baseball outfielder for the Hanshin Tigers.Prior to arriving in the United States, Fukudome played nine seasons for the Chunichi Dragons of the Japanese Central League. He was also a member of the Japanese national baseball team, winning a silver medal in the 1996 Summer Olympics, a bronze medal in the 2004 Summer Olympics, and placing first in the 2006 World Baseball Classic and 2009 World Baseball Classic. He won the Central League MVP in 2006. 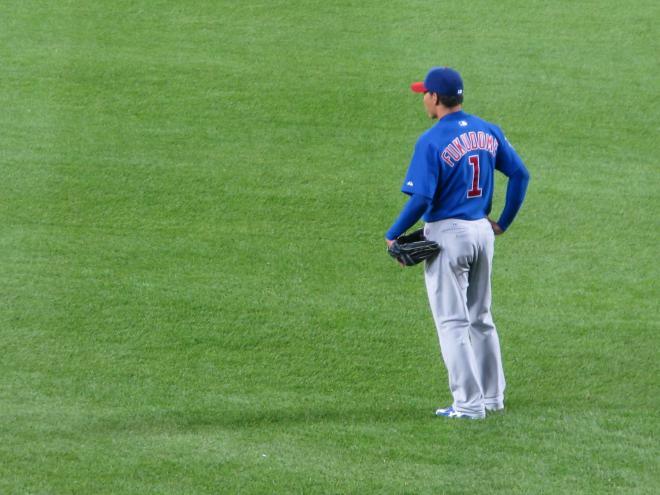 1 Outfielder for the Chicago Cubs (2008-present).